← Kel’s Cheesesteak Stuffed Peppers, a Carnivore’s Delight! 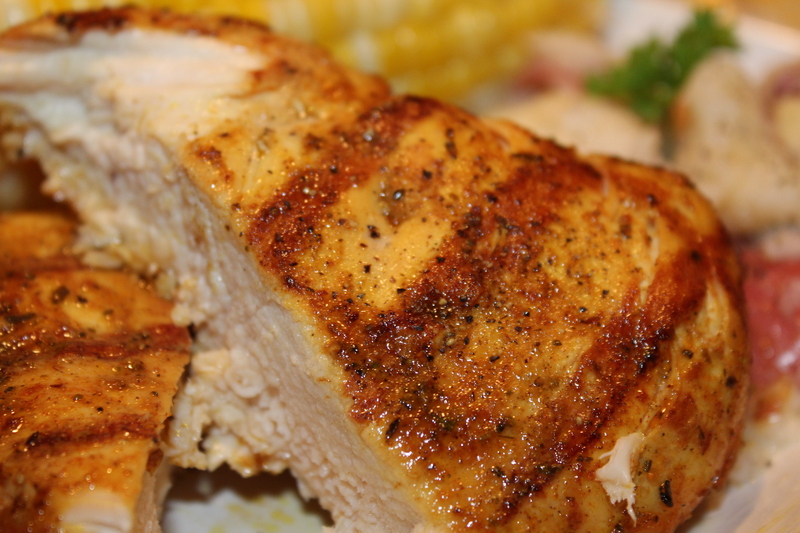 This incredible recipe has been handed down through the generations and it’s as finger-licking good as I remember it from my childhood – it truly was (and still may be) my favorite grilled chicken. I had almost forgotten about it until I recently had it at Mom’s, and she credits “Aunt” Ruth, one of her parents’ close friends, for this awesome chicken, as well as my Mamma, who added some extra spices to the marinade. I loved going to Aunt Ruth and Uncle Tom’s Shenandoah Valley home when I was a child and have such great memories of walking next to a rushing mountain stream with swimming holes and a beaver dam as well as the beautiful views of their property. I still remember picking wild blackberries from their land and making preserves that very same day. It was magical! As usual, I digress, so back to the recipe. What makes this chicken so incredibly delicious is the lemon in the marinade and the smoke from the hickory sticks, which is what we always used growing up. If you don’t have access to a hickory tree, just buy the chips from your local hardware store – this bag was about $4.00. 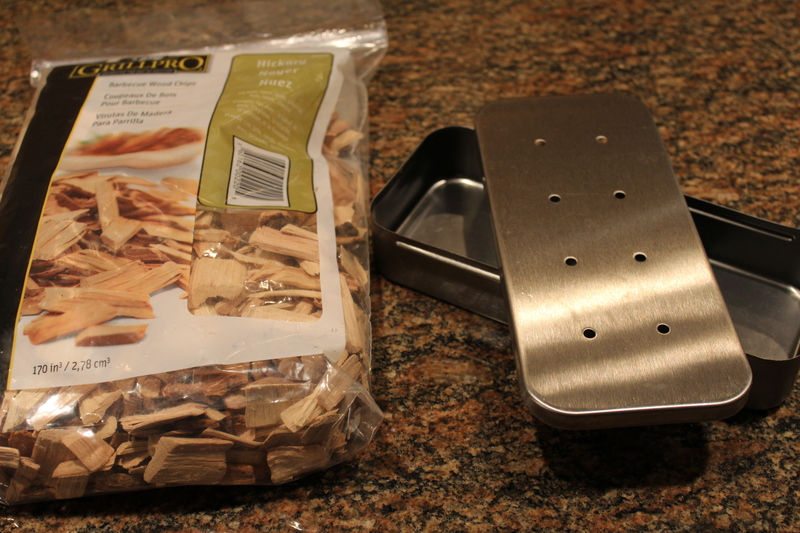 I purchased a small smoker (8.5x4x2”) for less than $10.00 since I’ll be making this on a regular basis. According to the instructions on the bag of hickory chips, you can use aluminum foil instead. Go ahead and spring for the smoker – I guarantee it will pay for itself in no time! 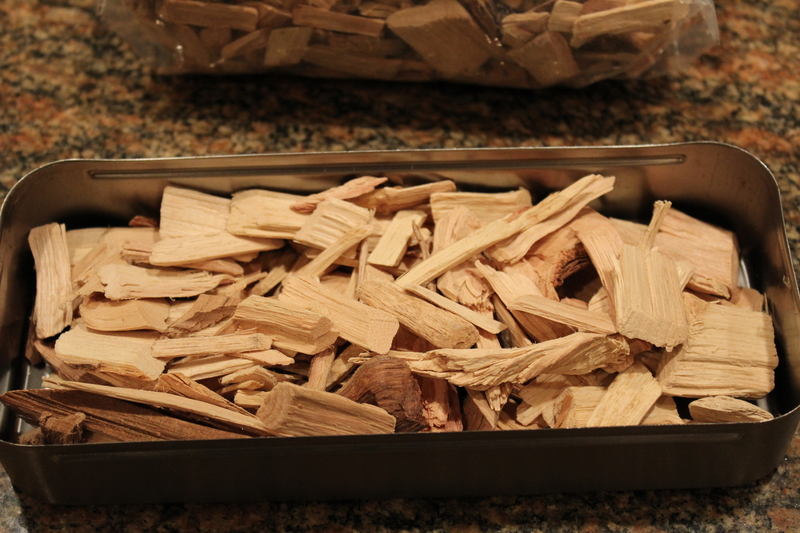 Fill your smoker with your dry hickory. Transfer it to a bowl and cover with water. 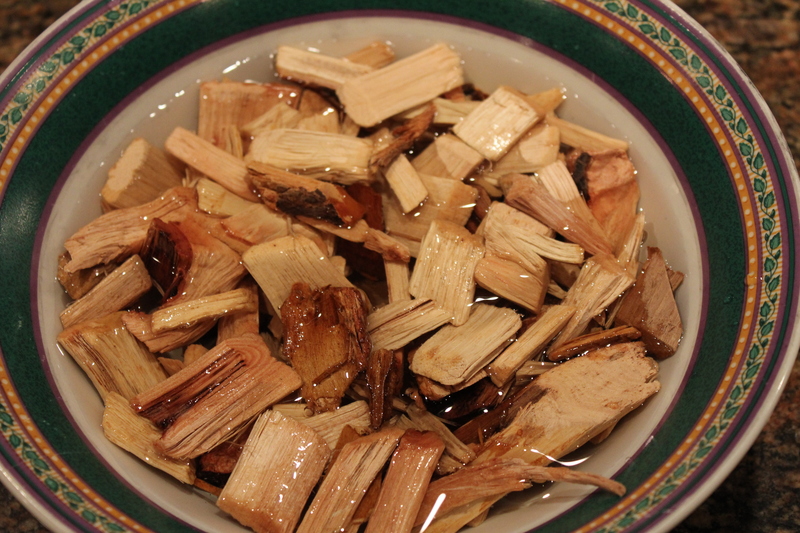 Let soak for at least ½ hour. 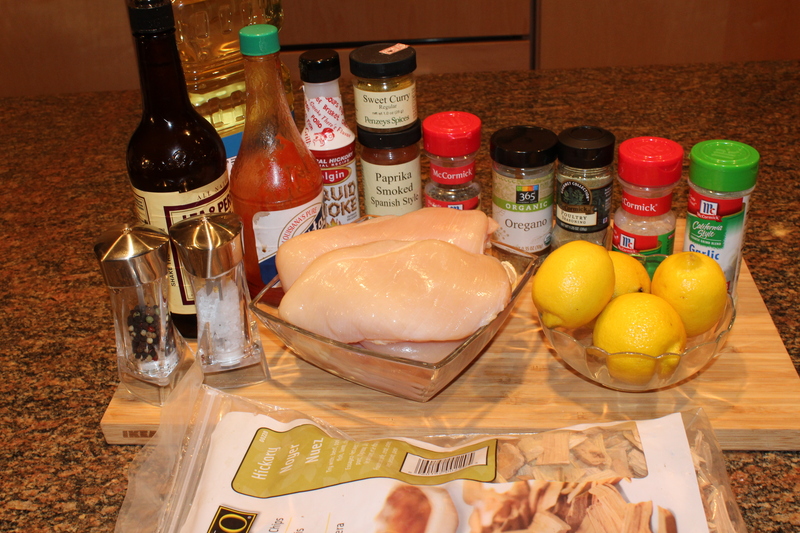 In a large bowl, whisk together the rest of the ingredients, except the chicken. 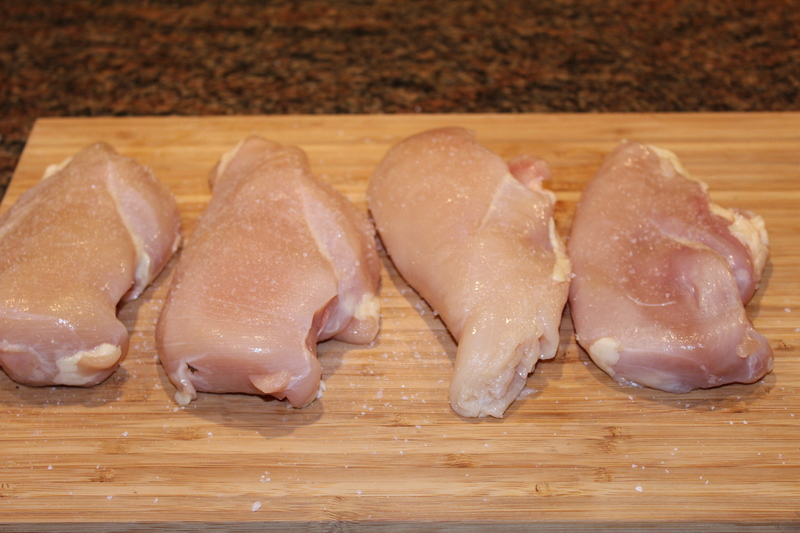 Lightly salt each chicken breast on both sides. 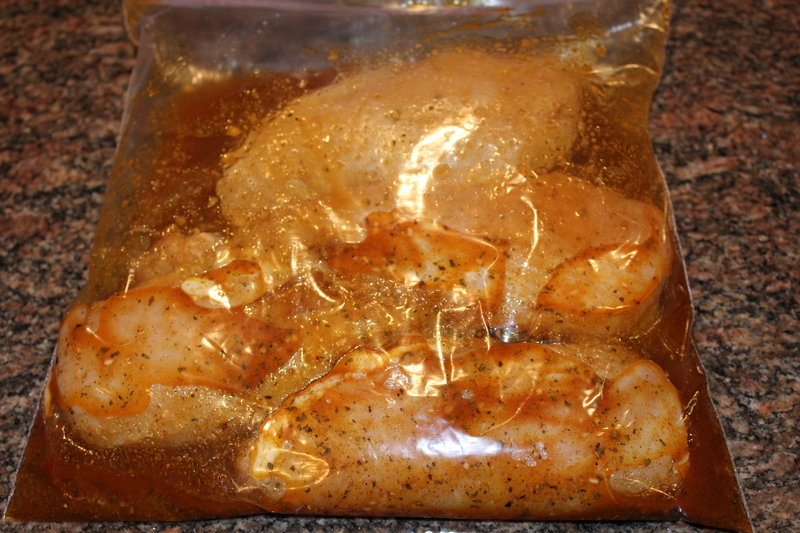 Place the chicken in a large plastic bag that seals well, add the marinade and gently massage the sauce into the chicken. 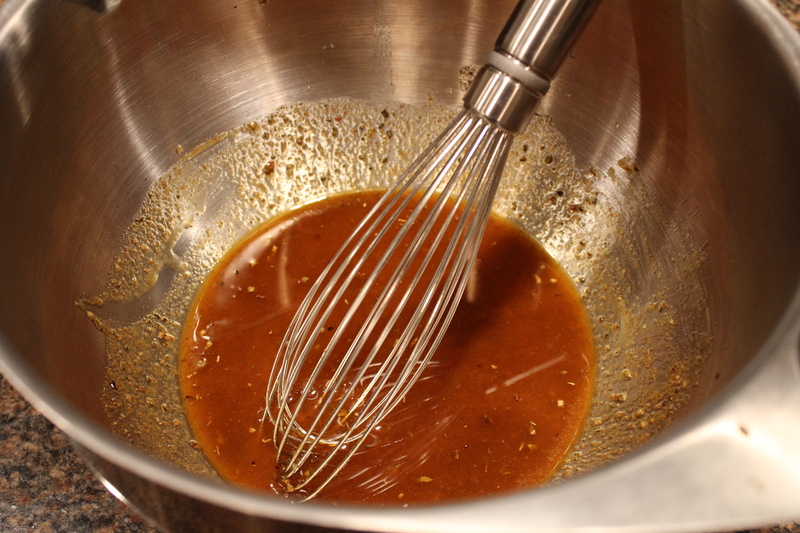 Let marinate for up to a day (refrigerated), but at least for ½ hour. Light your grill (gas or charcoal). 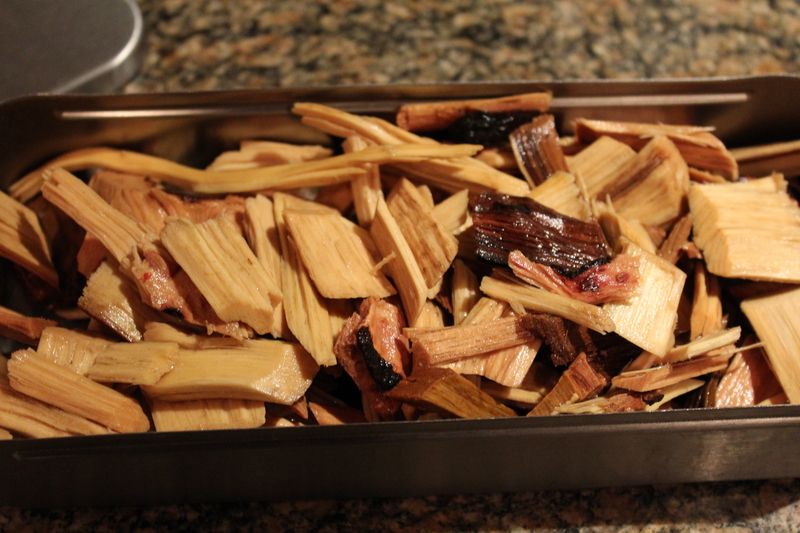 Drain you chips and add them back to the smoker. Place your smoker full of the chips once the grill is ready (if you buy hickory chips this should be included in the instructions.) 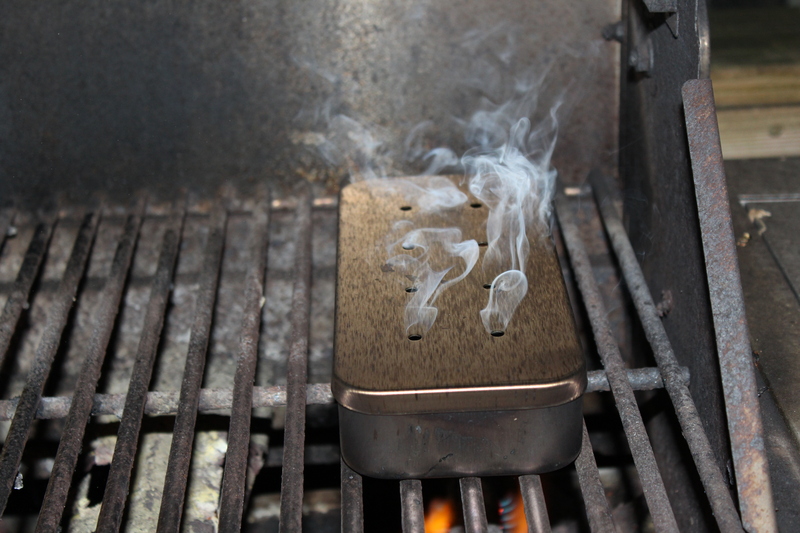 Wait for it, wait for it – they will start smoking (you’ll be able to see and smell this, OMG!) 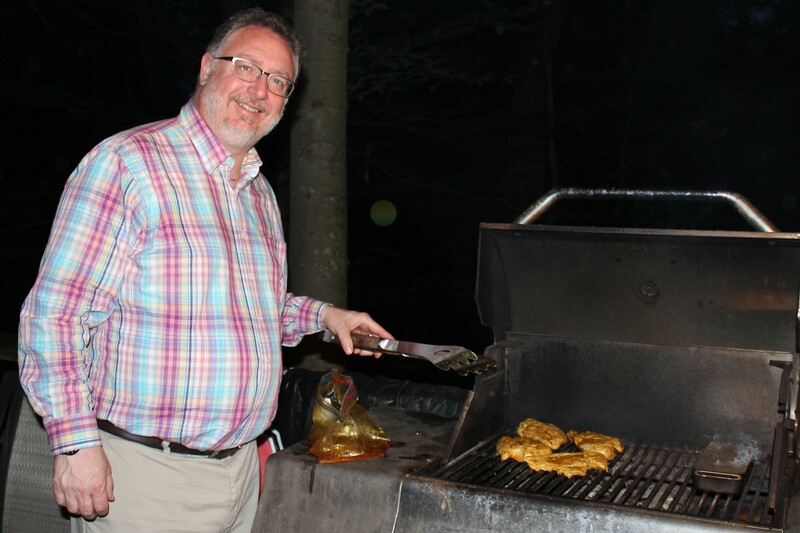 – I think it took about 15 minutes or so on our gas grill. 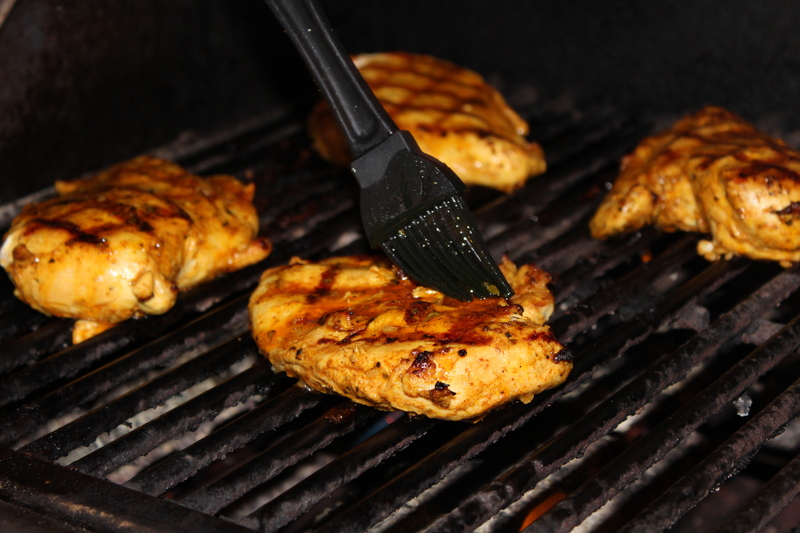 Spray your cleaned-off grill grates with cooking spray so the chicken won’t stick. 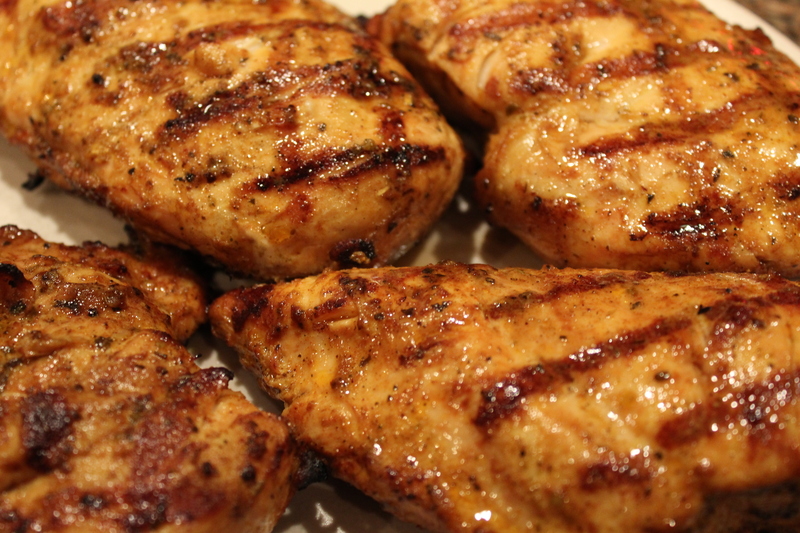 Add the marinated chicken and baste frequently with the leftover marinade. If you’re really special, Brad may come and help out. Not sure what he charges, but you could probably get him cheap for a decent glass of wine! Cook until the internal temperature of each breast reaches at least 165 degrees (not much more though, you don’t want it to be dry!) Look how perfectly grilled and juicy this is! Serve with your favorite sides. I love a crisp white wine that doesn’t have many oaky undertones, but choose your own favorite. 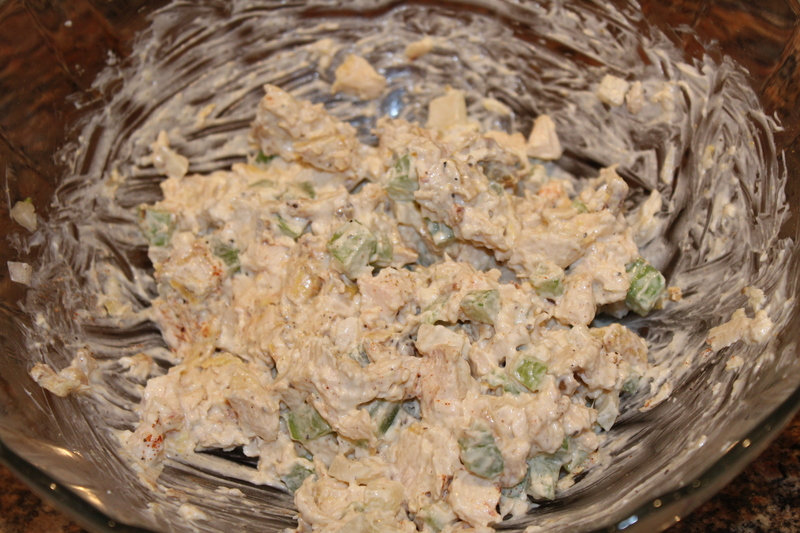 I purposely made more than Brad and I could eat so I could turn the leftovers into chicken salad for the next day. 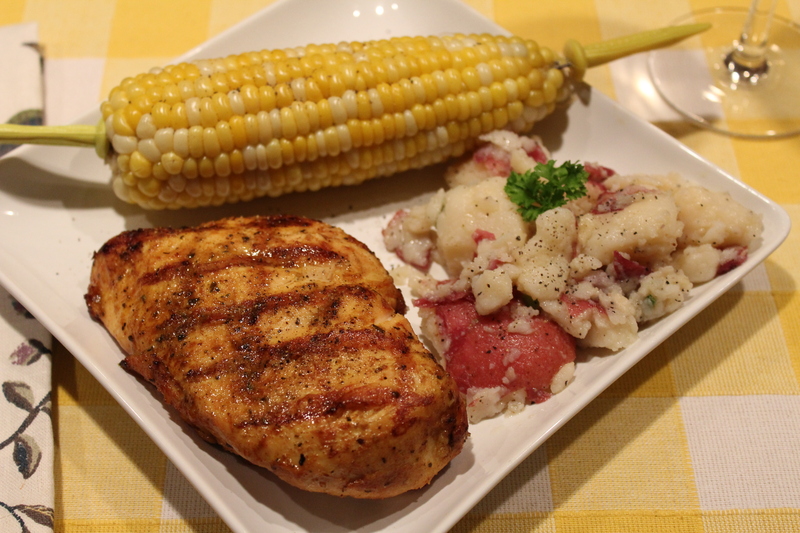 Talk about scrumptious – the hickory smoke and marinade take Kel’s basic chicken recipe to a whole new level! 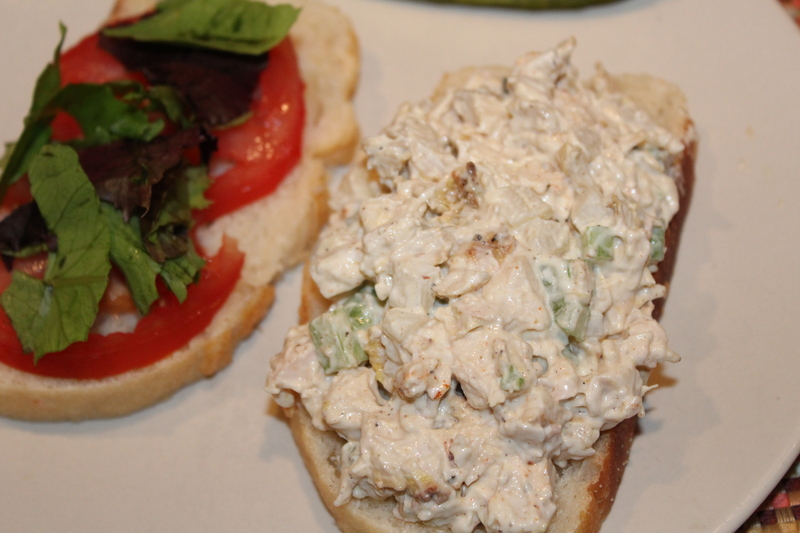 This entry was posted in Meat and Poultry, Recipes and tagged eat drink and be merry, grilled chicken recipes, Hickory smoked chicken recipes, hickory smoked chicken salad, Kel's Cafe hickory lemon grilled chicken recipe, Kelley Chisholm recipes, Lemon chicken recipes. Bookmark the permalink.